Baldasso Cortese have been appointed to design this exciting new co-education high school by 2019 on the site of the former Preston Girl’s Secondary College, Preston. The Architects will work closely with local families to deliver this brand new high school for the Preston community. 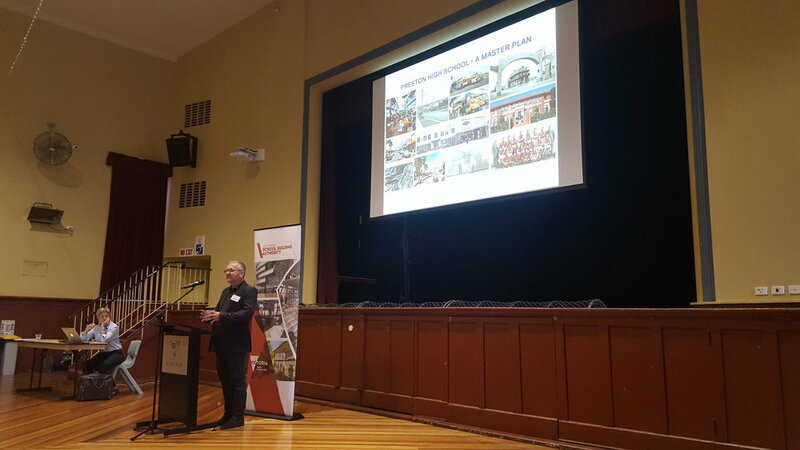 Last week, a workshop was held at Darebin Town Hall to introduce key members of the project teams to the local community. All present were invited to participate in developing the vision for the new Preston High School. Baldasso Cortese’s Head of Education, Peter Brown, presented at the event detailing our collaborative master planning process and our passion for educational architecture. Also in attendance from BC were Devkrishna Mistry, Partner; Vicki Leo, Associate and Ben Percy, Associate; all of whom live locally in and around Preston and are passionate about being involved in the design of this prestigious school. 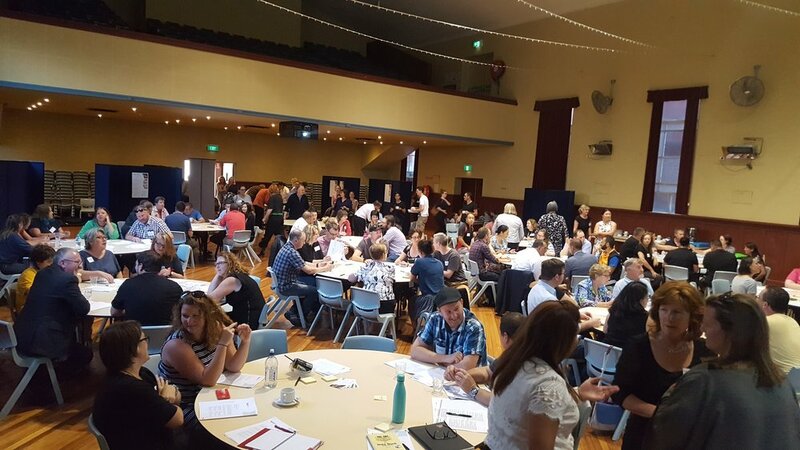 The turnout was greater than anticipated with an estimated 130 people attending, including local MP, Robin Scott, the National School Planning Group, local community groups, Darebin Council representatives and principals from a number of nearby schools. Participants had the opportunity to express their ideas, hopes and aspirations for the project. It was a successful event and the input from the local community will help define the Educational Specification for this very exciting project. A big thank you to Fiona Solomonides from the Victorian School Building Authority for organising the event and Dr Julia Atkin for facilitating a very successful workshop. OFFICIAL SOD TURN | PRESTON HIGH SCHOOL!